A dock strike in Europe in 1964 opened up the next and longest theme park chapter for Larry and Nancy Jane. The strike had stopped the Earthquake ride from arriving. Cedar Point contacted Larry and Nancy and they created the Baby Animal Farm for where the Earthquake ride was slated to go. (This space is now the Snoopy Boutique located adjacent to the main arcade.) 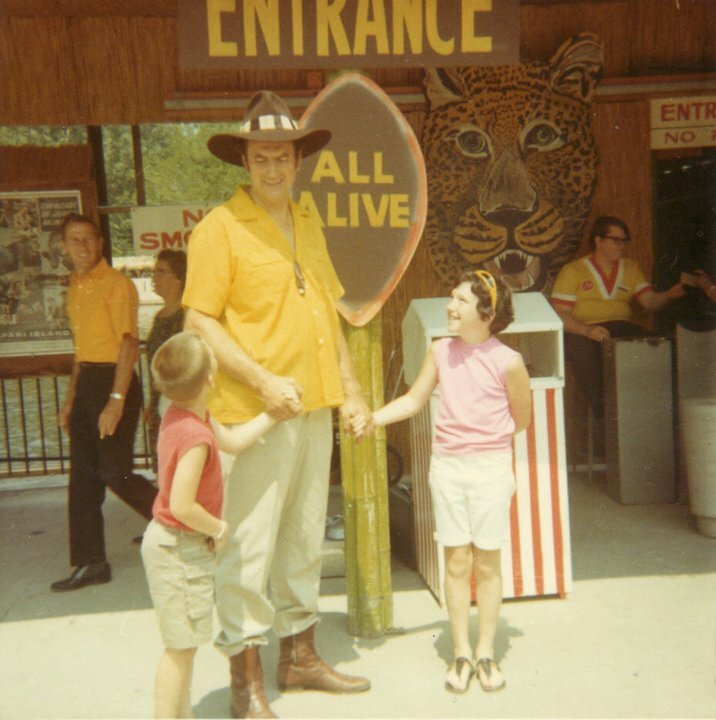 The summer went well and, in 1965, they opened Safari Island, the most authentic and extensive Jungle Larry attraction to that time opened. A true island, the animals had to be rafted across the first season. The secluded wooded area provided a lush jungle atmosphere for the animals. Over the years, midwesterners would get an up close look at larger animals like zebras, eland, lions, elephants, leopards, pythons, tigers, and even wolves. Over the years, the cultural experience also included dancers and musicians from Africa. Years of school presentations had honed the Tetzlaffs' presenting skills and year after year guests were entertained while being educated about animals and hearing that "conservation is the name of the game." Cedar Point afforded the Tetzlaffs a large audience often reaching over a million guests a season. Shows were frequent, often every hour on the hour interspersed with educational presentations on the half hour on the Safari Canyon lecture stage. Although committed to their summer audience, the Tetzlaffs wanted a warm winter home so the animals could be outside all year long. In 1969, they found their southern dream in Caribbean Gardens in Naples, Florida. While the botanical garden provided a beautiful warm home for the animals, it was a financial challenge as Naples was still small and the attraction had run in the red since it opened in 1954. Luckily, the Cedar Point operation was successful enough to be able to subsidize the Naples site. For decades, the Tetzlaffs ran both operations concurrently. Sadly, Larry passed away in 1984. Without hesitation, Nancy and her young sons were determined to continue his legacy and Cedar Point eagerly welcomed them back that spring. The continuing success was a tribute to both the family's commitment to Larry's vision as well as Cedar Point's faith in Nancy and her talents and hard work. As the landlocked Cedar Point grew into the top ranked theme park in the world, the canals around the island were filled in and the safari was eventually flanked by two roller coasters. During this same time, the city of Naples had grown enough to support the zoo without subsidy from the Tetzlaffs' Ohio operation. Weighing the decisions carefully, the Tetzlaffs understood the time had come to focus all their efforts in Naples. It was at Cedar Point that the most famous of all the Tetzlaffs' animals were born: the tiglons. 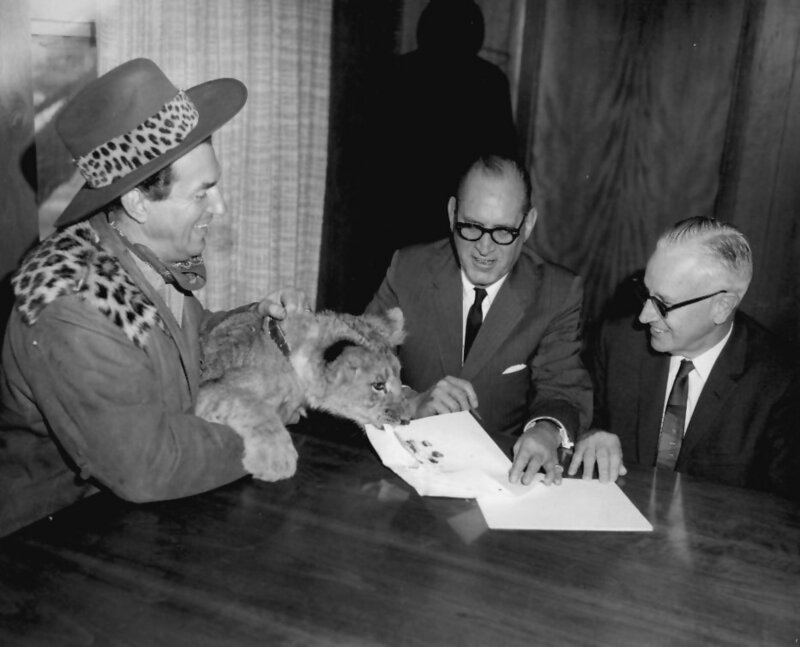 Jungle Larry and lion cub "sign" the contract with Cedar Point. 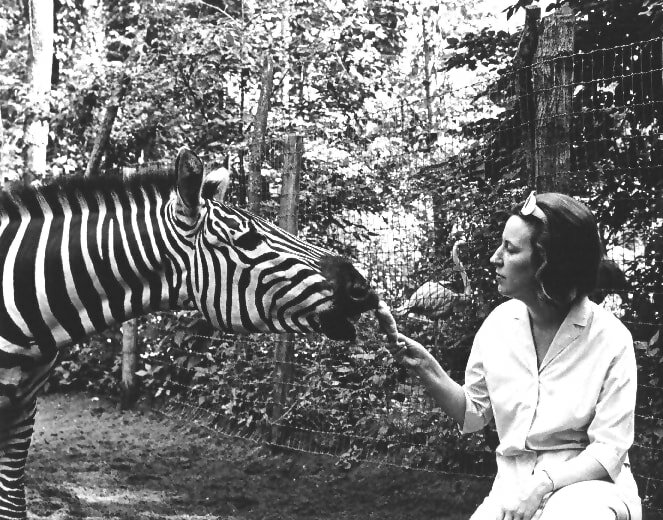 Nancy Jane with a zebra in the wooded areas of Safari Island at Cedar Point. Jungle Larry greeting some fans at the entrance to Safari Island.